The warships of the Russian Black Sea Fleet spent two times as much time at sea in 2016 compared to the previous year, the fleet’s commander, Alexander Vitko, said Friday. 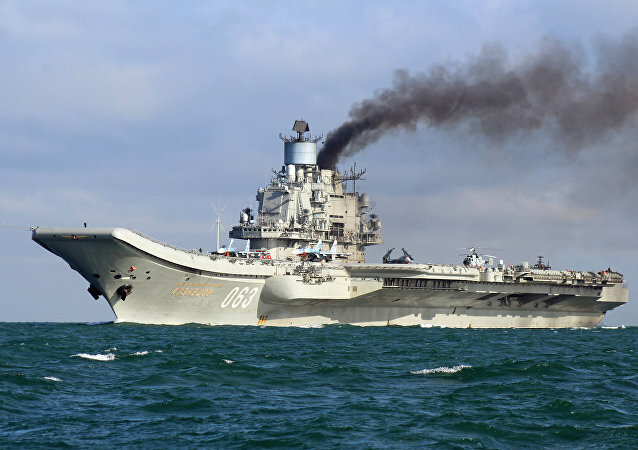 The modernization of the flagship of the Russian Navy, the aircraft-carrying cruiser Admiral Kuznetsov, will cost much less than building a brand-new ship of the same class, Navy Veterans’ Union co-chairman Viktor Blytov said in a radio interview on Saturday. Show of Force Must Go On: What Country Will Become the Pentagon's Next Target? Following Donald Trump's show of force in Syria, observers expect new US strikes, Russian commentator Alexander Khrolenko noted in his op-ed for RIA Novosti. What country could become the next target for American Tomahawks? 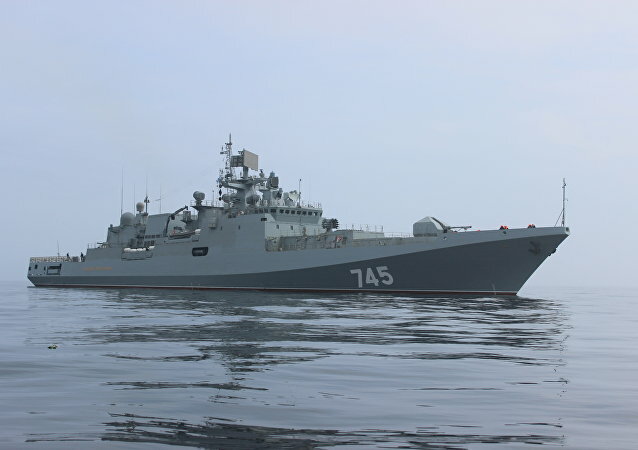 The Russian Black Sea Fleet's frigate Admiral Grigorovich will boost the Russian air defenses in Syria, Adm. Vladimir Valuyev told RIA Novosti, adding that the frigate's weapon systems are capable of shooting down the Tomahawk long-range subsonic cruise missiles. Russia's Black Sea Fleet and Turkey's navy held joint exercises in the Black Sea, the fleet's spokesman Vyacheslav Trukhachev said Wednesday. Commenting on the recent departure of Russia's cutting-edge frigate the Admiral Grigorovich from Russia's Black Sea port of Sevastopol on its long-distance mission to the Mediterranean, Russian military commentator Viktor Baranets told Radio Sputnik what the military vessel will be doing off the Syrian coast. The Russian Defense Ministry said on Tuesday that Russian jets have not conducted strikes in Syria's Aleppo for 28 days, thus, claims of Moscow being behind destroyed hospitals in the city are fake. 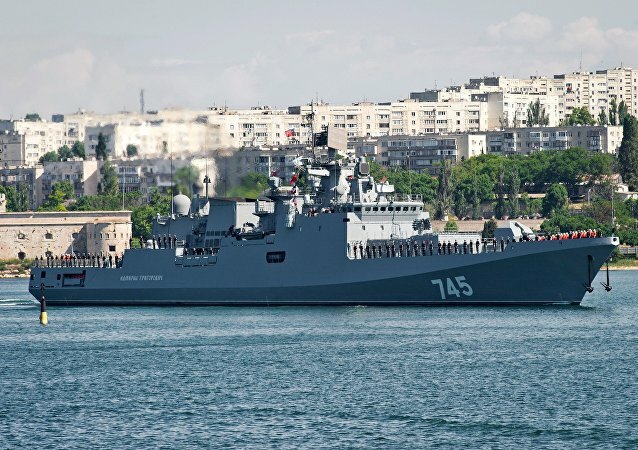 Black Sea Fleet press service said that Russian Frigate Admiral Grigorovich left the port of Sevastopol for Greece via the Mediterranean Sea to commemorate Admiral Fyodor Ushakov as a part of the annual Russian week on the Ionian Islands. Black Sea Fleet's spokesman said that Russia’s Admiral Grigorovich frigate has arrived at its permanent base in Sevastopol. 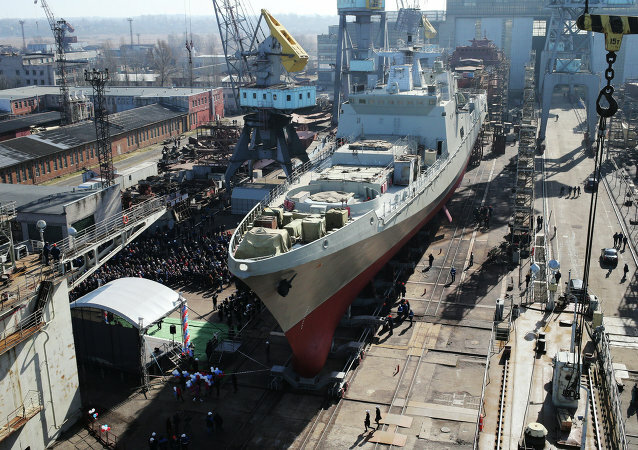 Russia’s Admiral Grigorovich Project 11356 frigate will leave the Baltic Fleet base in the western seaport town of Baltiysk to sail to its permanent Black Sea base in Sevastopol, the Ministry of Defense said in a statement Friday. Russian Admiral Grigorovich class frigate have successfully carried out the final stage of state trials in the Barents Sea. The crew of Russia’s Admiral Grigorovich frigate successfully carried out artillery fire exercises, hitting a cruise missile used as a target, according to the Russian Baltic Fleet's spokesman. Russia's modern Admiral Grigorovich frigate annihilated a simulated enemy submarine with a reactive bomb. The Project 11356 frigates are designed for anti-ship and anti-submarine warfare as well as for air defense missions. They can operate both independently or as part of convoys and naval task forces.